Bizcochos, the best biscuits from Ecuador! Whether you are planning a day trip to Imbabura and want to know what food you should definitely taste or are looking forward to tasting one of the best traditional biscuits in Ecuador and South America, this is the choice for you! Let me introduce you to what for me are the absolute best biscuits you can find in Ecuador, bizcochos. 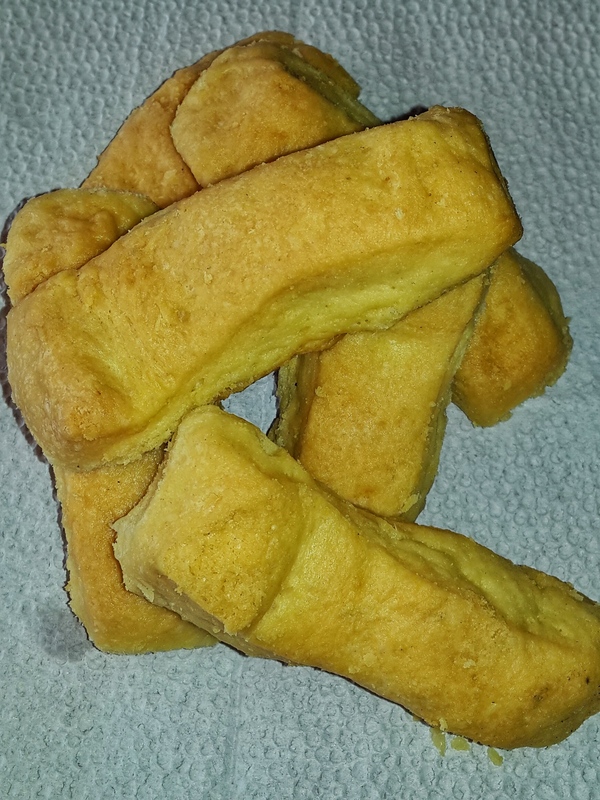 The word bizcocho is used to describe this special kind of buttery flaky pastry, this one is found in the town of Cayambe, located just an hour North from Quito. These buttery biscuits have its origins in Spain and they were introduced to the continent when Spanish settled in the 1500´s. They became especially popular as snacks for those taking the train from Quito to Ibarra or San Lorenzo. 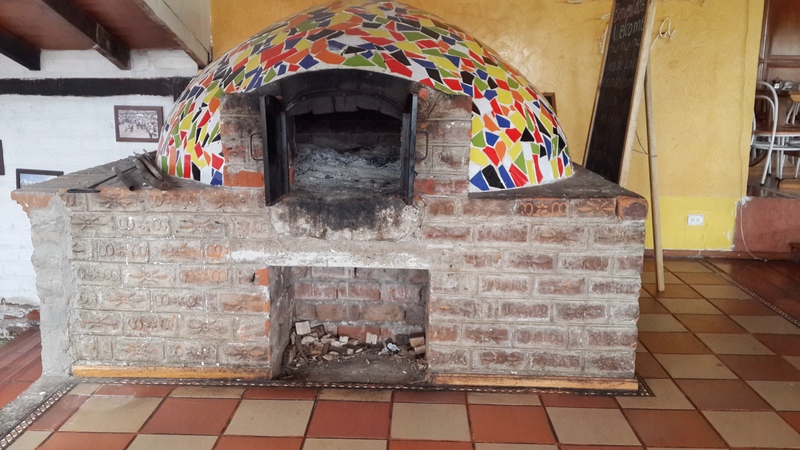 This is the specialty of the inhabitants of Cayambe, this is why in this small town you can find plenty of small stores where bakers are molding this dough into this golden buttery sticks all day long and stop to get warm bizcochos almost 24/7. Bizcocho is a buttery biscuit made of the mix of wheat flour, yeast, sugar, margarine and salt. After the bakers make the dough with the ingredients described before, they let it rise for an hour and then they start kneading the dough. Then they would stretch it into small sticks and place them in the oven. There are shops making and selling bizcochos all around the town, and one single shop makes about 1500 of these buttery sticks per day! When you observe the ellaboration process you will notice that bizcochos are packed carefully inside a plastic bag. Then, they will go inside a paper bag. This helps them stay fresh longer. We would normally stop and eat at one of the shops in Cayambe. Most of them have chairs and tables for customers, and offer also coffee and drinks. 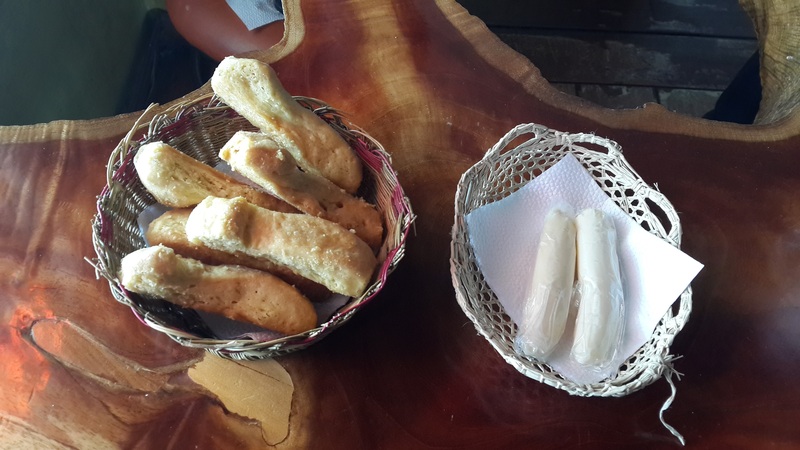 As part of the tradition, we Ecuadorians like to have our bizcochos together with queso de hoja which translates as string cheese. You can see in the picture below. In addition, we would buy dulce de leche “milk candy”, to spread it on top of the bizcochos. I recommend that you do try this option! Most would then of course, have a cup of coffee with it. Moreover, we would stop to get some bags of bizcochos on our way to the family´s hacienda in Ibarra. Then we would eat them during the traditional afternoon “cafecito”. Do you want to taste bizcochos? Then you definitely need to go to the town of Cayambe North of Quito to taste the best ones! You will really like them! Of course in a country with 4 very different regions, with a wide biodiversity, there are plenty other snacks and food that you should taste. I just give you in this article: Some of the best snack souvenirs to get on your visit to Ecuador – South America, with 5 of the tastiest snacks you can easily buy and taste while you visit the country. If you would like to make some of the desserts from South America, the book Dulce: Desserts in the Latin-American Tradition by Joseluis Flores has some amazing recipes. It is well-written book with some of the best dessert recipes in Latin-American cuisine.